Love Him, praise Him, thank Him, beg Him for mercy and forgiveness, tell Him what you want. He is waiting for you in the Blessed Sacrament. Go and spend some time with Him. Weekly Exposition of the Blessed Sacrament: Thursdays from 4 pm - Midnight in Holy Family Chapel, Our Lady of Lourdes Church. "Take advantage of your short time on earth. Do those things that will lead you to eternal life." Eucharistic Adoration begins at 4 PM on Thursday and ends at Midnightin Holy Family Chapel at Our Lady of Lourdes Church. All are welcome and encouraged to spend some quiet time with Jesus in the Blessed Sacrament. 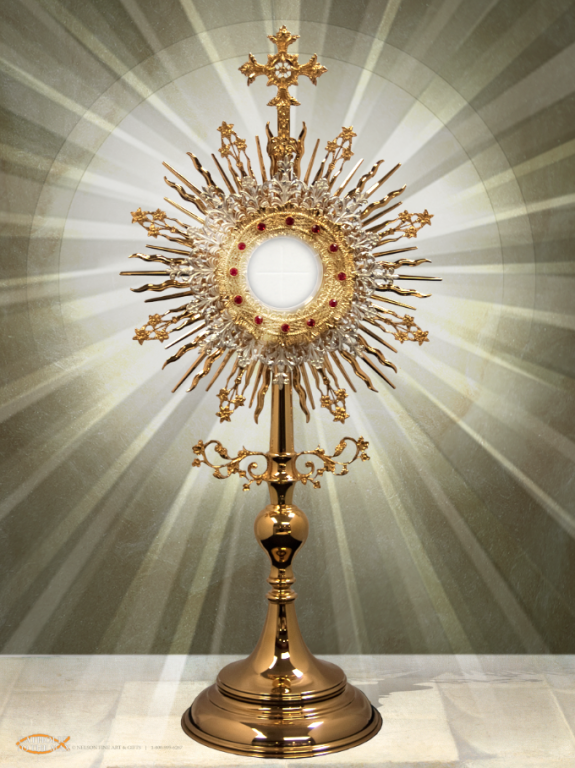 - Commit to your own "Holy Hour with Jesus in the Blessed Sacrament"
…contact Marilyn Mortelliti at the parish office 856-881-0909 or email parishoffice@mary-mom.com with Eucharistic Adoration in the subject line.